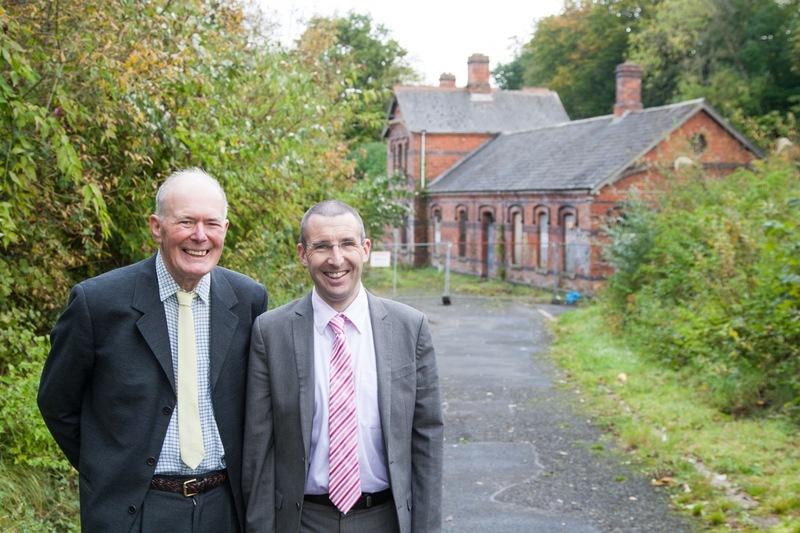 I am delighted at news plans to restore Cultra Station House have been given the green-light for early May. I have been leading the campaign to save the well-known local site since 2011 – when the listed building was put up for sale by Ireland’s Bad Bank NAMA. A brighter future is ahead as a result of sustained lobbying and hard work. Far too often we see historic buildings gradually fall into disrepair, left to whither and fall into ruins until demolished and lost forever due to Health and Safety concerns. Whilst previous plans existed to renovate and convert Cultra Station, but these quickly hit the buffers when the economic crash hit Northern Ireland with Ireland’s Bad Bank NAMA acquiring the property in 2011. Rather than watching the property deteriorate any further I was determined to grasp the opportunity presented and actively worked to save the building, whether via the Irish Parliament to get NAMA to progress the sale, NI Environment Agency in relation to Listed Building consent or the Planning Service to sort issues with the new Planning Application which involves just two units within the building rather than original plans of four. Despite the many challenges encountered I am proud to be part of realising the dream of many to save such an historic building which was designed in the style of renowned architect Charles Lanyon, built in circa 1863, and has remained on the Built Heritage at Risk Register for many years following listing in 2007. Local retired Conservation Architect and former Alliance Councillor Larry Thompson was also involved with the project and provided specialist assistance to bring the project to this stage. He added: “I am overjoyed to hear that commencement of construction work is imminent. Many lessons can be learnt from this situation, whether the previous decision to grant four rather than two units, the need for much quicker decision making in relation to the Planning Application or the short sighted decision to end Listed Building Grant Support, time after time the new owner was forced to navigate obstacles to keep the project on track or wait whilst government left the lights at red. Cultra Station House was built in 1897 assumed to be designed by G.P. Culverwell. The property is built in typical decorative red brick late Victorian fashion. The property consists of a listed building partially two storey and partially single storey positioned to the side of the railway tracks at Cultra. The two storey portion of the property was originally living accommodation for the station master and the single storey portion was the area for waiting, ticket collection and other areas associated with a railway station. What is the latest on this development ?